Sacred aroma of the queen of all flowers - Rosa Damascena. Apply moderate amount of the distillate to a cotton wad and remove make-up as usual.. Ingredients (INCI): Purely spring water distilled Rose Petals (Rosa Damascena (Rose) Distillate). All produced by us. Surely, no additives. SACRED. This one word describes the aroma and properties of the Bulgarian Rosa Damascena which is popular all over the world with its great qualities. There are around 5 000 species of rose plants known to man but the ones which contain oil are very few. 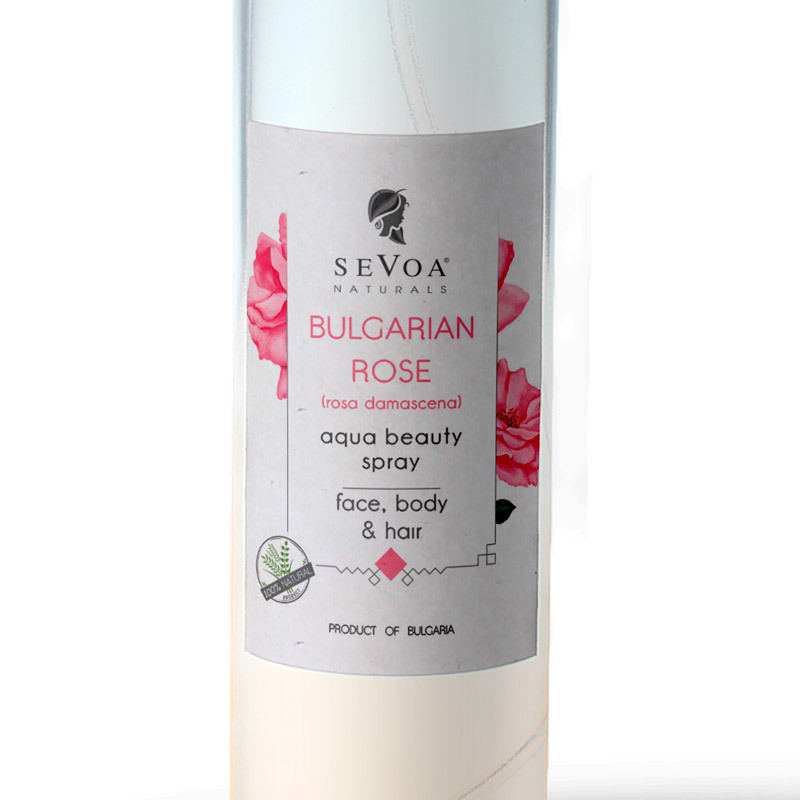 The top place though is held by the Bulgarian Rosa Damascena which makes us popular among high-quality cosmetic fans and aroma lovers around the globe. There are a large number of products containing various types of components with varying degrees of concentration. These are widely known by a few names. The most well-known are floral waters, flower waters or simply waters (hydrolates). Since there are no regulations as to which of these names should be used for the market, we coined another name to distinguish our product. Though they are known by quite a few names the variety of products basically comes down to three types. The first one is usually a mixture of distilled water with added artificial or natural fragrances of various plants. The second variety of these products is also distributed on a large scale and although it contains most of the plant’s characteristics, it’s actually a residual product of essential oil production, which in the past had been treated as waste water. This is a common practice even for plants like lavender, camomile, etc. There’s also a third variety of products which are produced in a different way aiming at keeping all the oil and other active substances from the plant in the distillate (water). It is these products that we’ve named Essential Water.